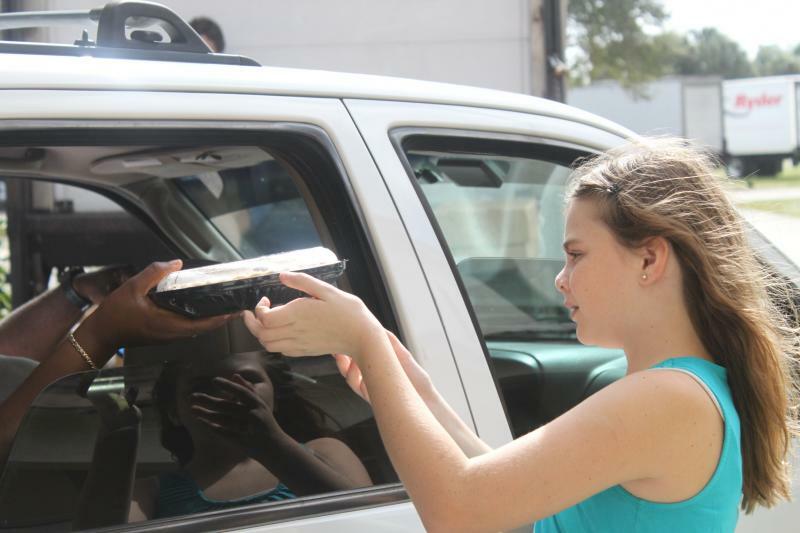 How Did Feed the Hungry Pantry of PBC Get Started? In 1987 Dan and Jacquie Shorter began a small Christmas ministry at Belvedere Baptist Church. They fed 40 families that first year. Within a few years, they were helping several hundred people with food primarily at Thanksgiving and Christmas and during emergencies, too. We serve people throughout the county mainly from Lake Worth through Riviera Beach and out to Belle Glade. About 32% are Haitian, 28% Hispanic, 30% African-American and 10% Caucasian. There’s 2 full-time paid staff. For warehouse work, we employ a few part-timers. Hundreds of people volunteer to help from qualifying applicants to delivering food to sorting to making reminder calls. We also mentor dozens of smaller, mostly ethnic churches that are better able to reach the poor, especially in the Haitian and Hispanic communities. Feed the Hungry coordinates with other agencies to stop duplication and regularly provides our families with information about other agencies.